Yaxham Woodlands Group were delighted to install their new picnic table and bench at Pinns Corner on Saturday 4th November. The bench is constructed of 100% recycled plastic which is safe and splinter -free, durable, hard – wearing and easy to clean. It is UV resistant, and weather – proof giving a long lifespan, plus it will never need painting or treating! The table is family-friendly, having seating for 8 with room for buggies and wheel -chairs. 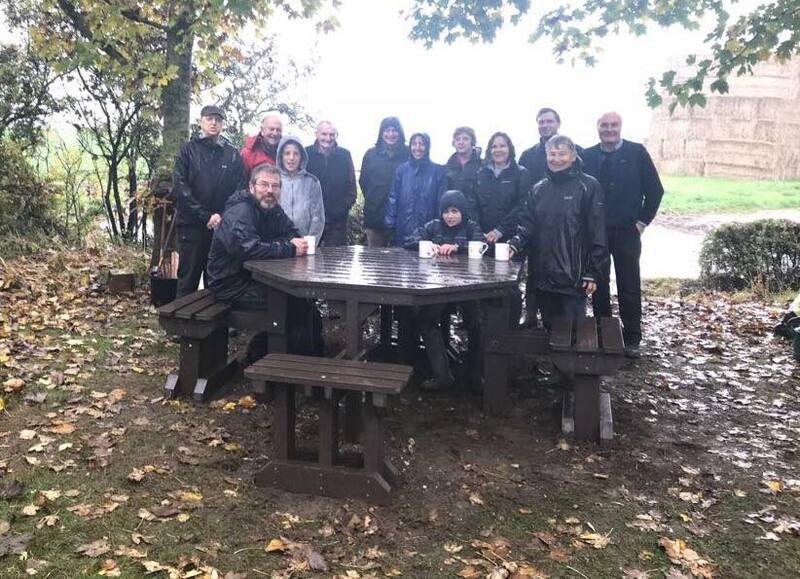 Despite torrential rain, as can be seen from the photograph, the group persevered and the bench is now available for all to enjoy.